Free Bible program for Windows, using emulators of the type of Wine under Linux on different versions of Mac OS. portable version on a flash drive, but it is paid. the Website of the program in English, the program itself is multi-language version. 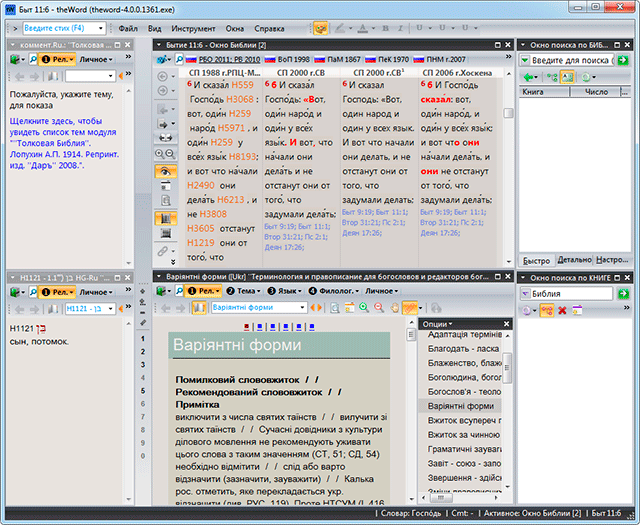 you Can add and integrate books (Bible, literature, dictionaries ...) as modules. the Main advantages of the program - the opportunity to work in parallel with multiple versions of the Bible and a lot of tips. I'm Not going to describe only, not to shipping (someone easier to deal with the program itself, it is quite clear) and not to duplicate a good article on video.